Heroin addicted but no money for treatment? I will be brief. I am 51 years old and for the past 10yrs. have been on a downward spiral that started with OxyContin and roxycontin and has gradually transformed into a full blown heroin addiction, which I cannot control. Currently, I am unemployed and have no insurance and thus cannot afford any treatment myself. Are their any programs available to get help, if not I am sure this drug will soon be my demise. This is the first time I've reached out to anyone for help and I hope to hear from you. Comments for Heroin addicted but no money for treatment? There is hope and also help. Thank you so much for reaching out to us as you struggle to move out of addiction and begin the journey to sobriety. I do have few suggestions for you that I believe should help you to get the support you need. You're likely are correct when you say you can no longer control your addiction. Heroin addiction is a disease, which attacks our brain and controls our pleasure centers and often our decision making processes as well. We often need in-patient support to detox from it allowing us to begin our recovery journey. I have two recommendations for you and one request. Since you're unemployed and have no money, you should be eligible for Medicaid in the state of Kentucky. Medicaid should pay for your addiction treatment. Please consider going to a hospital and asking for help to detox from heroin and advise for getting into a Medicaid addiction treatment program. Your local hospital should help you to find the resources that you need. Also, you should consider visiting your local Salvation Army program. 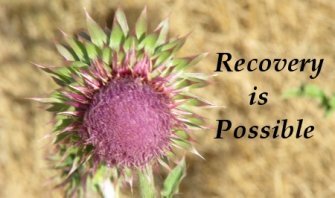 They have an excellent addiction recovery program that is free and has helped MANY people to deal with their addictions. My request, is that you begin going to AA or NA meetings today and working the 12-steps. Working the steps will allow you to find the resources and support you need to move past this awful addiction and get back to your life without addiction. Going to these programs and finding a female sponsor can often help identify the resources available to help you, which will help you to move into recovery. Good Luck, and thanks so much for reaching out for the first time. Hopefully, you will reach out more and find the support and encouragement you need to end your addiction.